As the Twilight Saga movies come to an end with Breaking Dawn Part 2, cast members are helping the fans bid farewell to it! 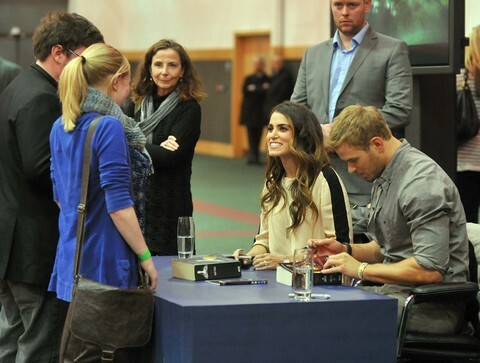 Nikki Reed and Kellan Lutz did just that in Ireland this weekend. The Twilight books and movies have some of the most devoted fans imaginable and they’ve supported the movies with an unparallelled passion. Camping out for days and weeks to just get a glimpse of the actors/actresses portraying these characters, making scrapbooks for them, buying every piece of merchandise ever created – even getting TATTOOS of the characters, quotes, artwork, etc! To show the fans how much they appreciate for their devotion, the various key cast members have been setting out around the world to hang out with them. Nikki and Kellan, who play vampire couple Rosalie Hale and Emmett Cullen, headed off to Ireland this weekend. They attended a signing session at The Dublin Convention Centre on Saturday morning. Nikki and Kellan signed autographs and chatted with fans. Nikki and her husband, American Idol alum (and recent Parenthood guest-star) Paul McDonald, even sang a song for them! 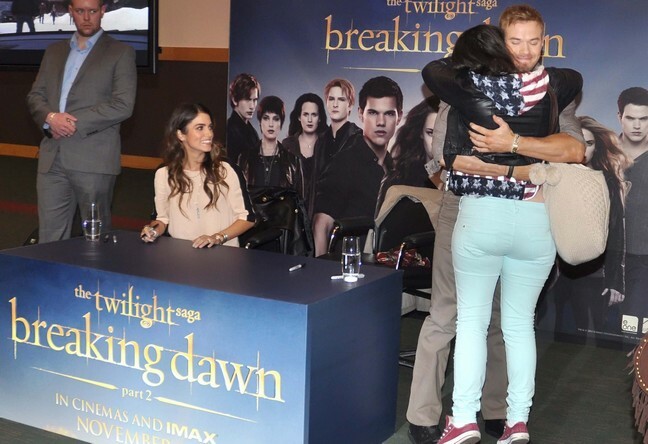 Have you ever attended any of the many Twilight fan events? Are you sad that this is the final film? 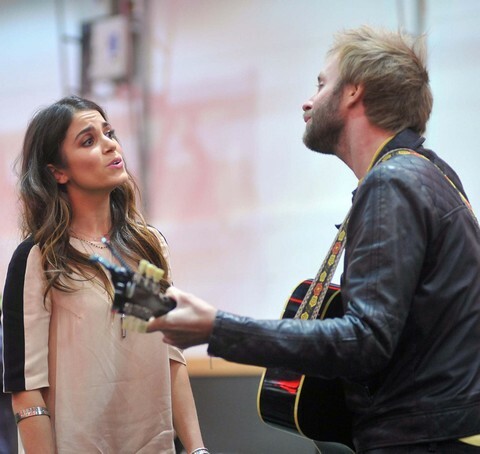 Nikki Reed and her husband Paul McDonald treat the fans to a song.